Meet Common Core Standard, 2.NBT.A.3 with these hands on activities. This packet includes four different activities that allow the students to show what they know about standard, word, and expanded form. 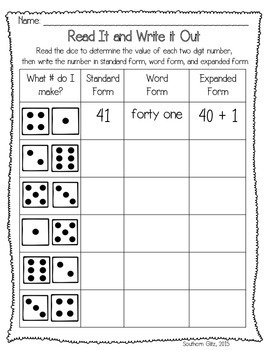 The students will read the dice shown to determine the value of each two digit number, then write the number in standard form, word form, and expanded form. 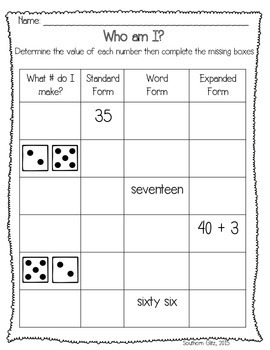 The students will determine the value of each number then complete the missing boxes by drawing out the correct numbers on dice, or filling in the standard, word, and expanded forms. The students will roll a die (or dice, not included) to create a two digit number. 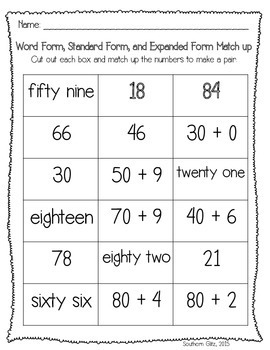 Then they will write the number in standard form, word form, and expanded form. 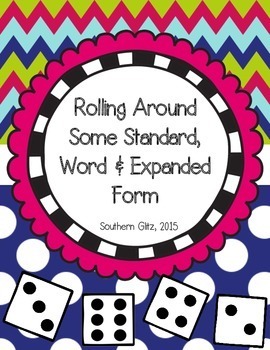 I hope your students enjoy these hands-on activities while practicing standard, word, and expanded form.